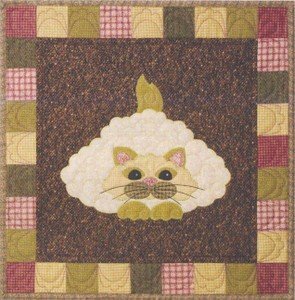 SQ07 - Garden Patch Cats -Caulipuss Block 7 pattern by designed by Helene Knotts. 18" x 18" square block. Includes a recipe cheese and sesame cauliflower soup.